Donic Schildkröt presents the most high-quality table tennis bat of the Donic-Schildkröt CarboTech production line - the Donic Schildkröt table tennis bat CarboTec 7000. Donic-Schildkröt sets high standards with the CarboTec Line with regards to innovation in table tennis. The Donic Schildkröt table tennis bat CarboTec 7000 is made of high-quality carbon instead of wood. This offers the advantage that the CarboTec table tennis bats are harder than common bats made of wood and they offer more power and a quicker playing. The Donic Schildkröt table tennis bat CarboTec 7000 is equipped with a self-adhesive 2.3 mm thick rubber, which can be easily replaced by a new Donic-Schildkröt QRC rubber 7000 Liga for table tennis bats CarboTec 7000. 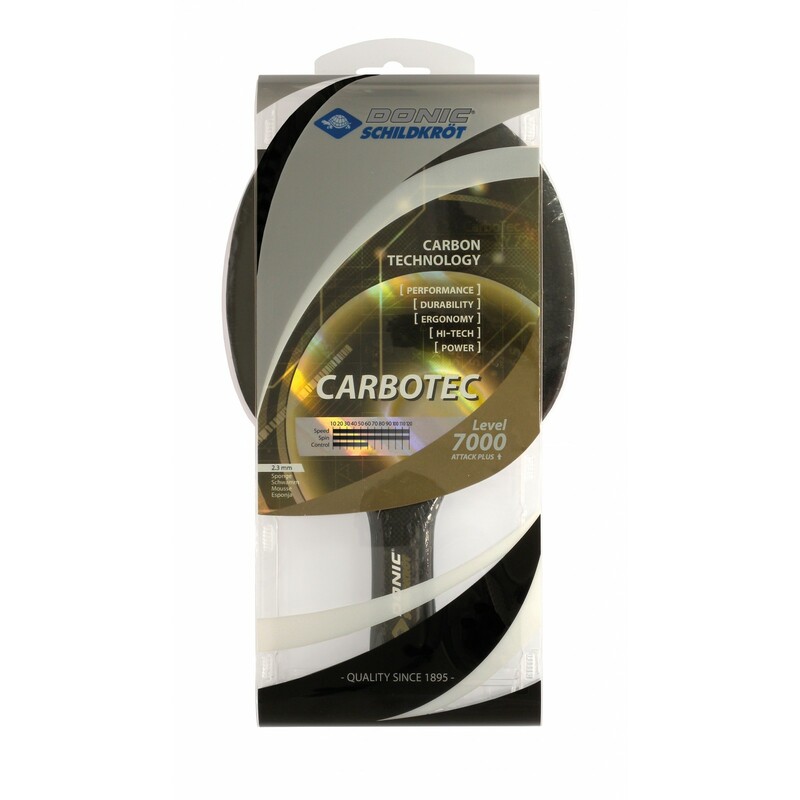 The CarboTec 7000 is hence the quickest and hardest table tennis bat of those three models (Cabotec 900 and Carbotec 3000) of the Donic-Schildkröt line. Donic-Schildkröt table tennis ball Elite 1* Poly In stock!